Up here in the land of the north, we’ve started to tuck our cars away for winter but that hasn’t kept us form hitting the track! We had our first TorontOppo meet yesterday at RaceSim1. 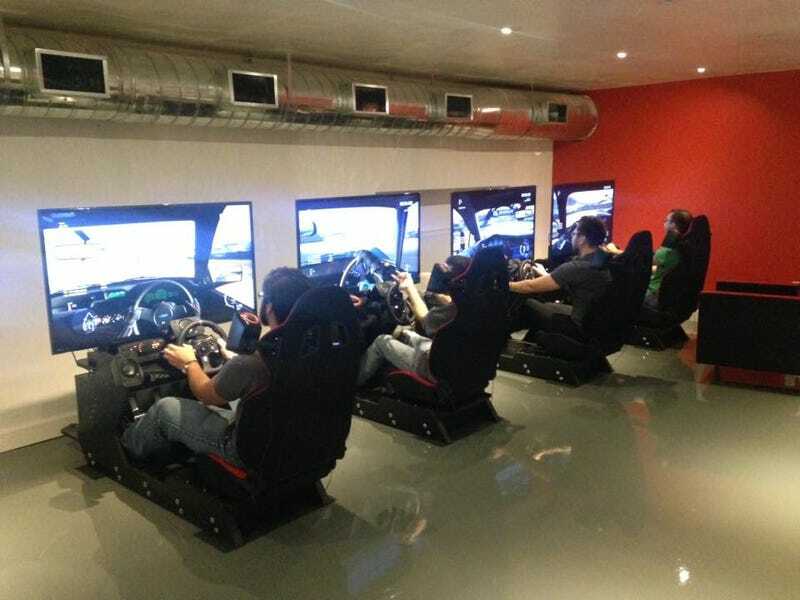 Driving SUVs, F1 cars and 50's classics on the world’s tracks together we got to check out the latest and super awesome sim place in Toronto: http://racesim1.com/. I think we can safely say we all had a blast for a couple hours but could have easily stayed for days. Anyways, join us on Facebook to hang out and we’ll definitely have some more fun car meetups soon! And on that note, I leave you with the CletusVette on one of it’s last days out before Winter. Shout out to cletus for the photos!